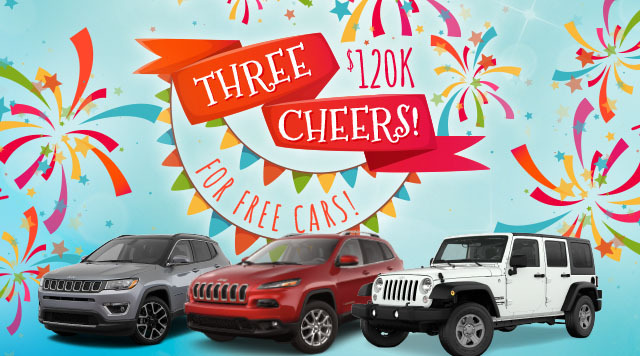 Hip hip hooray for not one, not two, but THREE Jeeps® up for grabs at IP! Receive one entry for every 1 Tier Credit earned from 4:00am, May 1 – 11:00pm, May 26. One winner of up to $1,000 Slot Dollars every 30 minutes! Five winners of $1,000 SLOT DOLLARS or a BRAND NEW JEEP®! Jeep is a registered trademark of Chrysler Group LLC. See B Connected for complete rules and details. Management reserves all rights.